As a major partner of The Henry Royce Institute, the University of Sheffield has been awarded £34m to fund the commercialisation of fundamental research into advanced metals processing. 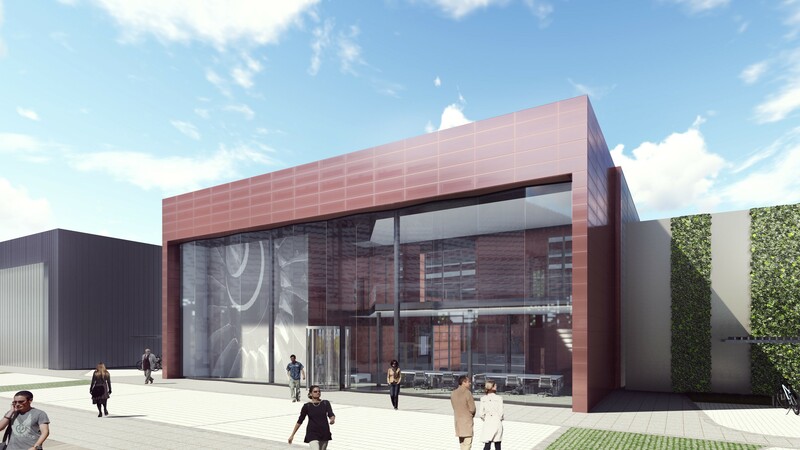 Royce@Sheffield’s brand new facilities will consist of the Royce Discovery Centre and the Royce Translational Centre, which will enable us to build on the University’s advanced manufacturing capabilities and transfer our knowledge and expertise to local industry. The purpose of the Discovery Centre is to take materials and processing concepts and develop them from basic principles through analytical and experimental processes, with the aim of proving the concept in terms of feasibility and applicability for industrial use. The centre will be built on the University’s City Campus. The Royce Translational Centre will become a centre of excellence, based at Sheffield’s Advanced Manufacturing Campus and part funded by the European Regional Development Fund. Our engineers will use the research from the Discovery Centre and evolve novel materials and processing techniques, making them accessible for trial by industry. For the first time, the business community will be able to access a custom built space with state-of-the-art equipment for powder manufacturing and processing, enabling them to investigate the feasibility of using new technologies without needing to invest in their own equipment. The Henry Royce Institute is a £235m project to grow the UK’s world-leading research and innovation base in advanced materials science. The Institute operates as a hub and spoke model, with the hub at The University of Manchester, and spokes at the founding partners, comprising of the universities of Sheffield, Leeds, Liverpool, Cambridge, Oxford and Imperial College London, as well as the UK Atomic Energy Authority and the National Nuclear Laboratory. Visit sheffield.ac.uk/royce-institute to find out more about Royce@Sheffield and to sign up to receive our newsletter.